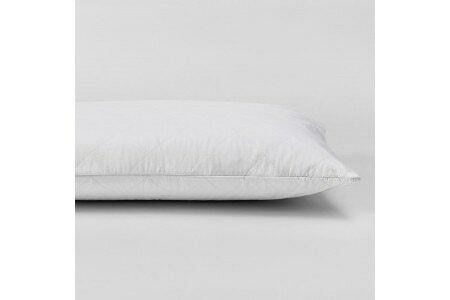 Soft and comfortable whilst being easy care, our Supima® waterproof pillow protector is ideal for using on latex and memory foam pillows. Crafted in a soft Supima® cotton cover with a waterproof layer, this protector is perfect for allergy sufferers and will protect from spills, prolonging the life of your pillow. Warm machine wash - gentle cycle. Easy care, machine washable and can be tumble dried. Dry Cleanable Warning:Keep away from flame, ignition sources, direct sunlight and heat.